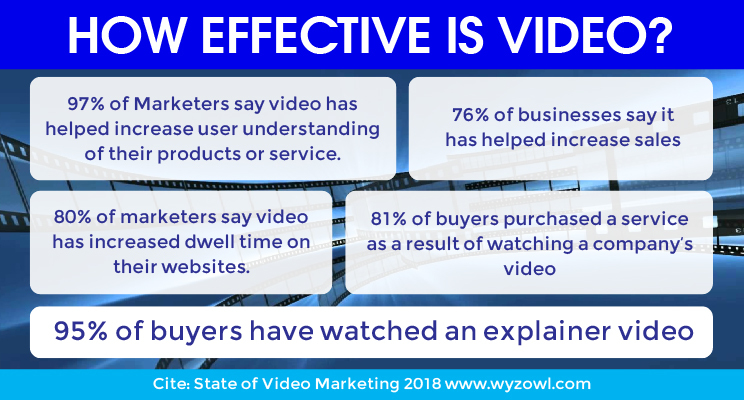 For the last 4 years, companies like Animoto, Google/IPSOS, Aberdeen and Wyzowl have been doing some excellent research and surveys to track how important video is to buyers. Well the reports for this year offer eye popping statistics that proves video marketing is more important than ever. 81% of buyers have been convinced to buy a service by watching a company’s video. 95% of buyers have watched an explainer video to learn more about a product or service. Check out these reports from Aberdeen and Wyzowl for more staggering statistics. Make sure your video offers a call-to-action that brings prospects into a lead nurturing system that can help you evaluate the quality of these leads. Marketo developed this Guide to Lead Nurturing that might be helpful. Here is an example of a case study video from Volvo Trucks. Most of the medium sized businesses I interact with just don’t have the time to develop content or are unsure where to begin. Therefore, tapping a video marketing expert can be very helpful to get you started with content development ideas, writing scripts and developing storyboards. Simple tasks like arranging for a whiteboard video production artist or voice over artists is a challenge for busy professionals that have never done that before. Video production can be very time consuming and hiring an online marketing agency to do your creative is a smart business decision. YouTube remains the most popular (and most effective) sharing platform for video content, and there are no signs of that trend being reversed in the next year. Our YouTube video marketing services helps clients optimize video with SEO and increase viewer engagement on YouTube with advertising. Contact us today if you wish to get started with a video marketing strategy.